IRVINE, Calif. /California Newswire/ — Cloudvirga, a leading provider of digital mortgage point-of-sale (POS) software whose enterprise technology is powered by the intelligent Mortgage Platform(R), has partnered with Radian Guaranty, a subsidiary of Radian Group (NYSE:RDN), to deliver instant and accurate mortgage insurance (MI) rate quotes and streamline the ordering of MI certificates for lenders. 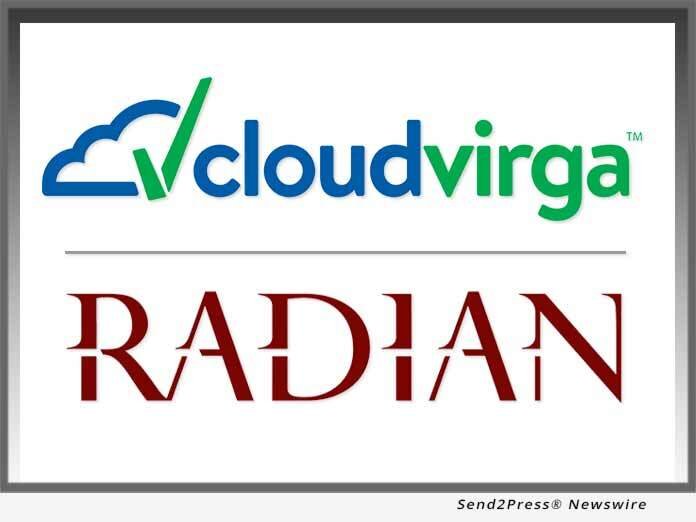 The advanced integration with Cloudvirga delivers Radian’s precise MI pricing in seconds, without the need for lenders to rekey data or leave Cloudvirga’s Consumer POS or Enterprise POS systems. Radian Group Inc. (NYSE: RDN), headquartered in Philadelphia, provides private mortgage insurance, risk management products and real estate services to financial institutions. Radian offers mortgage insurance through its principal mortgage insurance subsidiary, Radian Guaranty Inc. This private mortgage insurance helps protect lenders from default-related losses, facilitates the sale of low-downpayment mortgages in the secondary market and enables homebuyers to purchase homes more quickly with downpayments less than 20 percent. Additional information may be found at http://www.radian.biz.